Carthage did not maintain a large, permanent, standing army. 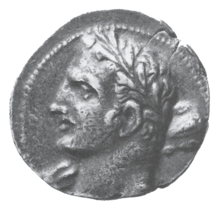 According to Polybius, Carthage relied heavily, though not exclusively, on foreign mercenaries, especially in overseas warfare. The core of its army was from its own territory in Northwest Africa (ethnic Libyans and Numidians (modern northern Algeria), as well as "Liby-Phoenicians"—i.e., Phoenicians proper). These troops were supported by mercenaries from different ethnic groups and geographic locations across the Mediterranean, who fought in their own national units. For instance, the Celts and Balearics and Iberians were recruited to fight in Sicily. 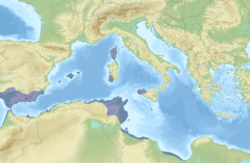 Particularly, Carthage had been employing Iberian troops for a long time even before the Punic Wars; this was supported by the accounts of Herodotus and Alcibiades who both described the fighting capabilities of the Iberians among the western Mediterranean mercenaries. Later, after the Barcids conquered large portions of Iberia[dubious – discuss] (modern Spain and Portugal), Iberians came to form an even greater part of the Carthaginian forces.